Call on Horne Heating and Air Conditioning Inc. for unlimited comfort in every season. We’re here when you need a reliable, trusted HVAC contractor. You can count on us for innovative, out-of-the-box solutions to your indoor comfort challenges. Our NATE-certified service techs work with businesses and homeowners across the Greater Charlotte, North Carolina, region. We install, repair and maintain all types of residential and commercial heating and cooling systems. No job is too small or too demanding for our team of skilled, knowledgeable service techs. 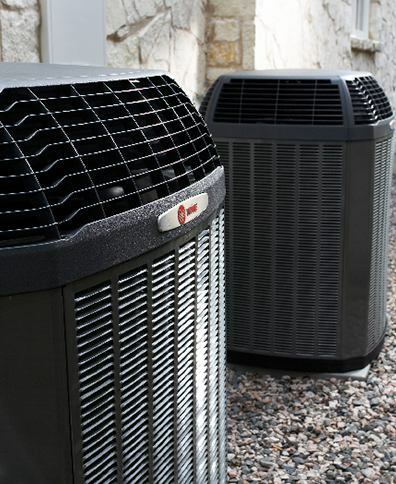 HVAC Installation: As a factory-authorized Trane Comfort Specialist, we install heat pumps, air conditioners, furnaces and ductless AC systems. Our experts install durable, top-rated HVAC equipment that’s built to deliver efficient comfort. Maintenance: Our NATE-certified service techs maintain HVAC systems from Trane and all major brands. Join our Premier Efficiency Program (PEP) for an affordable solution to protecting all of your HVAC equipment. You’ll also receive priority service and exclusive pricing reserved for our PEP customers. HVAC Repair: We’re on call 24 hours a day to handle urgent HVAC repairs at your home or business. Emergency services are available to customers throughout the greater Charlotte area from Mooresville to Matthews. Ductwork Installation: Efficiency begins in your air ducts. The average home loses 20 percent of heated and cooled air through cracks in the ductwork. As a result, your HVAC system work harder. Our licensed HVAC contractors specialize in installing ductwork in new buildings and repairing existing ducts so that you save energy. Damaged air ducts also let contaminants enter your house. Indoor Air Quality: Innovative air purification products from Trane improve your comfort and ward off persistent IAQ threats. We design air quality solutions that tackle specific concerns. We will help you select the right air cleaner for your needs. We can install ventilators that reduce the concentration of VOCs or air cleaning systems that capture 99 percent of germs and pollutants. With Horne Heating and Air Conditioning Inc., you can expect honest service with integrity; outstanding customer satisfaction with respect and loyalty, while never failing to exceed expectations. That’s our promise to every customer — old and new. Our family upholds a long tradition of delivering trusted HVAC advice and service utilizing the latest technology. If you’re a resident of Charlotte, Mooresville, Matthews, and Huntersville, and nearby regions in North Carolina, call our office to learn more about our HVAC services or to request a free estimate.